Bernie Sanders and his allies are trying to move the healthcare reform conversation from just protecting the Affordable Care Act to the idea that healthcare is a human right. And speculation over what's in Sanders' latest single-payer bill grew late last week. Axios reported that Sanders' staff is drafting a bill that would transition away from the current system slowly, starting by gradually lowering the Medicare eligibility age and providing a public option in the individual market. During debates before passing the ACA, Democrats considered letting those 55 to 64 buy Medicare coverage without getting the hefty subsidy for outpatient care premiums enjoyed by current Medicare beneficiaries; those premiums currently cost $134 to $428.60 a month, depending on income. Inpatient care is free to most current beneficiaries, but would cost more than $400 a month if you had to buy in. That does not account for the cost of prescription drug benefits, or Medi-Gap insurance that helps with the 20% co-insurance under traditional Medicare. Benefits would likely mimic the ACA's 10 essential benefits that include maternity and newborn care, mental health and substance use disorder treatment, prescription drugs and preventive and wellness services and chronic disease management. 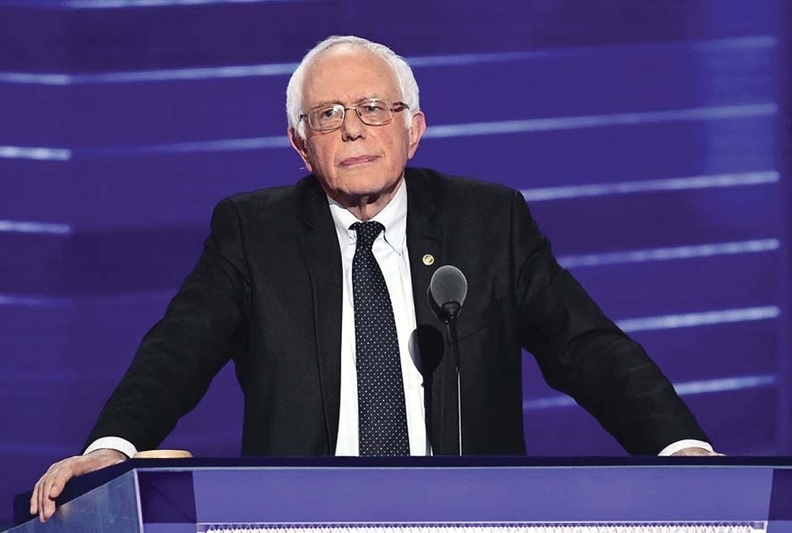 The Sanders bill likely would not include private insurers, which would be a sticking point for those who refuse to let go of employer-sponsored coverage and the tax benefits that those plans provide for large companies. An estimated 49% of Americans are insured through their employer. 34% of U.S. residents are on Medicare or Medicaid and 9% are uninsured. Only 10% buy individual coverage. Edging out monolithic and influential insurers also would be hard. While Sanders has acknowledged that his bill has no chance of passage, recent polling shows the threat to the ACA got more U.S. voters, including Republicans, talking about healthcare as a human right. But any single-payer plan, including the one currently proposed in the state of California, fails to provide ways to finance such an endeavor. Sanders' previous bill, the American Health Security Act of 2013, asked for senators to endorse the recognition of healthcare as a human right, and would have merged Medicare, Medicaid, CHIP, federal employees' health coverage, and Tricare, as well as the individual exchange, into one system operated and funded by the government. Employers would be allowed to provide only supplemental benefits to the new program. All legal residents would have been covered by this system, except those who receive care through the Veterans Affairs Department and Indian Health Service. The 2013 bill left it up to a national board to decide national and state funding levels, and how to determine how much providers would be paid, and what is medically necessary. It also mentioned an unspecified health income tax. A request to Sanders' office for comment on his draft bill went unanswered.